Today Amazon – Tomorrow… ? 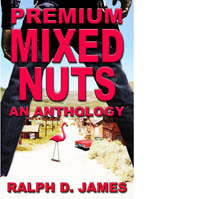 I’m using CreateSpace to do the paperback version of Premium Mixed Nuts. As part of the review process, they show you a 3-D picture of your book. Pretty cool. Anyway, I’m almost done. I think.